The common type of Loudspeaker that uses a magnetic field to move a cone-shaped diaphragm. When alternating current (the audio signal) is applied to the coil, the diaphragm vibrates and causes air to move, thus creating sound. Contrast with electrostatic speaker. The voice coil is wrapped around a "former," which is attached to the cone-shaped diaphragm. Current applied to the coil in between the poles of the magnet cause the coil, former and diaphragm to move in and out. The magnet diagram is not drawn to scale: gaps between elements are shown much larger than the real magnet below. 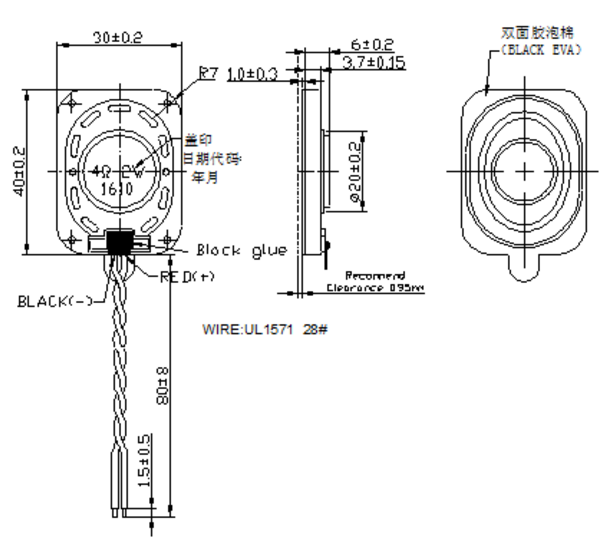 Looking for ideal 8ohm 1w Rectangular Speaker Manufacturer & supplier ? We have a wide selection at great prices to help you get creative. All the 3040 Speaker for Alarm are quality guaranteed. 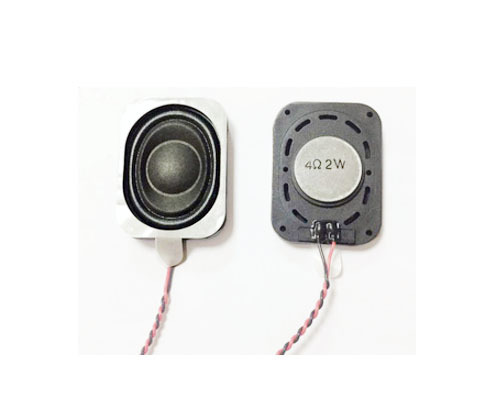 We are China Origin Factory of Security Alarm Speaker. If you have any question, please feel free to contact us.